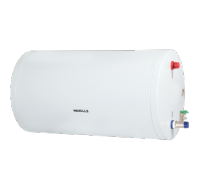 Havells 15 L WHITE water heater is a Horizontal with vertical plumbing installation Mounting. It comes with Vitreous Enamel Coated Tank with single Weld Line Design. This tank is made of Ultra thick super cold rolled steel plates 2mm thick that Provides more corrosion resistance and anti-rust properly resulting in longer life. It comes with A die-hard life span for inner tank and more than 25% strength than S.S. tank, ensured by multiple on line testing including. It also comes with Incololy 800 Heating element glass coated offers superior heating performance with its excellent resistance to both oxidation & carbonization at high temp. setting. Also resists erosion against most. 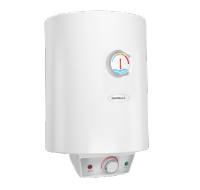 To Recieve updates and possible rewards for Havells Monza slk hb 15L White please sign in. To Recieve updates and possible rewards for Geyser/Water Heater please sign in.